Until last Friday, I always played the Samuel Jackson character in this terror-in-the-skies production: I want these mother-lovin’ babies off this mother-lovin’ plane. So I knew when it came time for karma to demand payback, it wasn’t going to be painless. 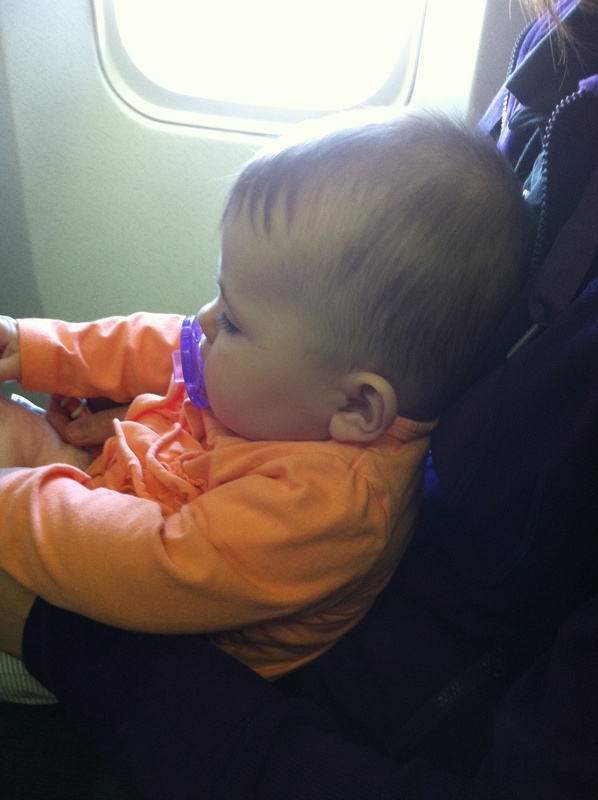 In fact, I’d had anxiety about flying with an infant since we first found out Denise was pregnant with Madison. 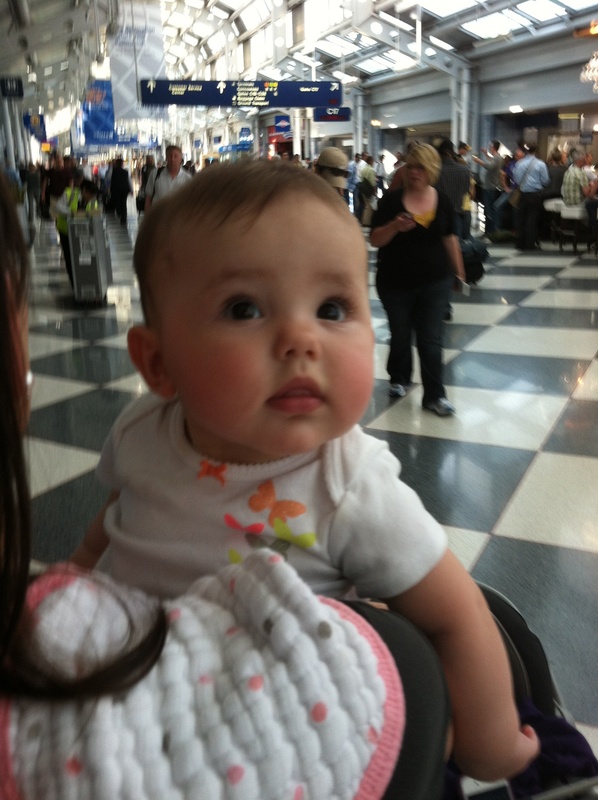 But a family function demanded that we go to Chicago. So we were on our way. Karma be damned. When I’d share my concerns with friends, they all had similar advice. It was usually something along the lines of “remember, you’re never going to see these people again.” As well meaning as that is—and it really does sound good on the surface—I found it less than satisfying. Because frankly that’s not how I choose to live my life. It’s too easy to let that particular philosophy get out of hand. Sadly, you see it all the time, and I’ve spent way too much energy railing against this ‘screw unto others’ culture of ours. Feel like answering that call in the movie theatre? Whatever, you’re never going to see these people again. Don’t want to tip the waitress? Whatever, you’re never going to see her again. Want to do sweaty squat thrusts in the middle of a crowded coffee shop? Yes, I’ve actually seen that. And I think (I really really hope) you get the point I’m trying to make. Bring a bottle for takeoff and landing, when the pressure is worst. It gets them to swallow and relieve the pressure in their ears. We had an additional bottle just filled with water, for the other random times in the air when her ears seemed to be hurting. With all this information, we boarded. And this is where I slip into the Morgan Freeman character: I wish I could tell you that Denise and I fought the good fight, and that Madison was a perfect angel. I wish I could tell you that. But air travel is no fairy tale. 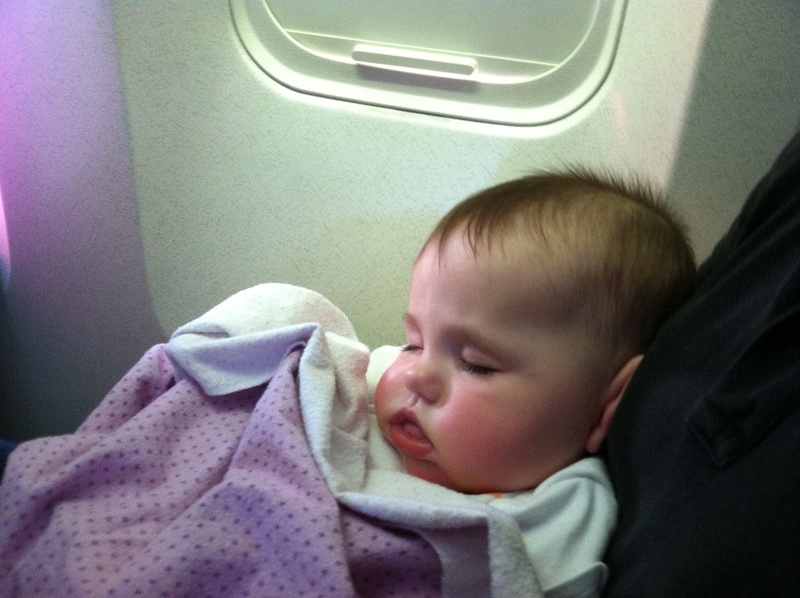 By the time we landed in Chicago, we’d had 3 epic meltdowns. And maybe somewhere, at this very moment, there’s a cool 20-something guy blogging about his miserable trip to Chicago with a screaming baby last Friday. But if there is, he never said anything. Which is awesome. Because in the end, I reached a couple of conclusions. 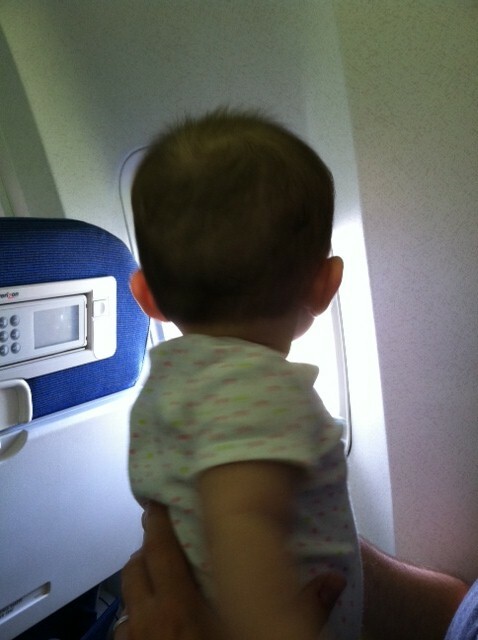 Babies, like snakes, really don’t add much to the flying experience. And as painful as they are to sit next to, they are twice as miserable to sit with. I hope the old me knew that on some level. I hope that I never made anyone feel any worse about an already awful situation. And I hope the next time goes a little smoother. I hope. 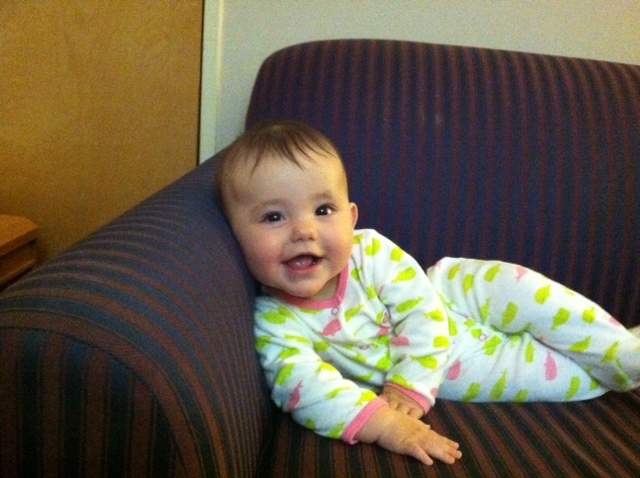 You may want to wait to check the stroller at the gate. 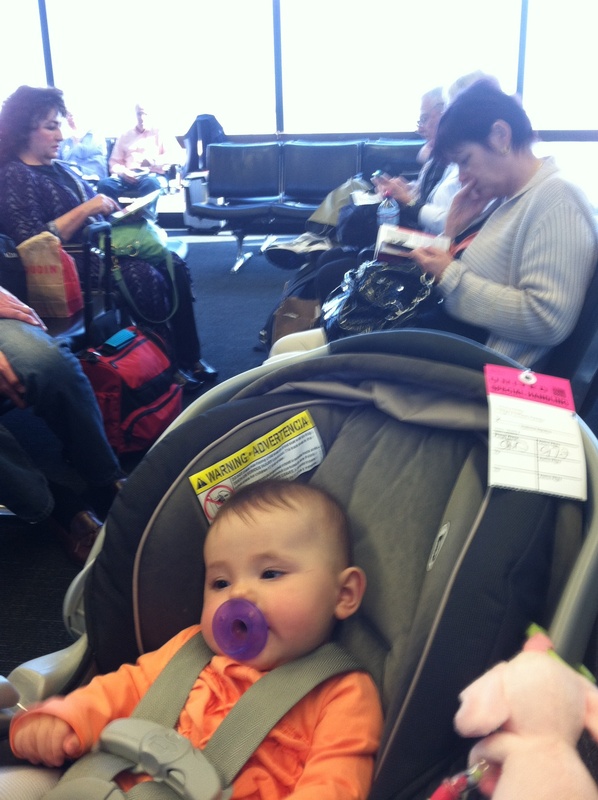 Makes getting through the airport easier, and lets you put off holding them a while longer. The calm after the storm. I really wanted to capture some great screaming baby shots, but I thought pulling out my camera would be pushing my luck with the patient folks around me. 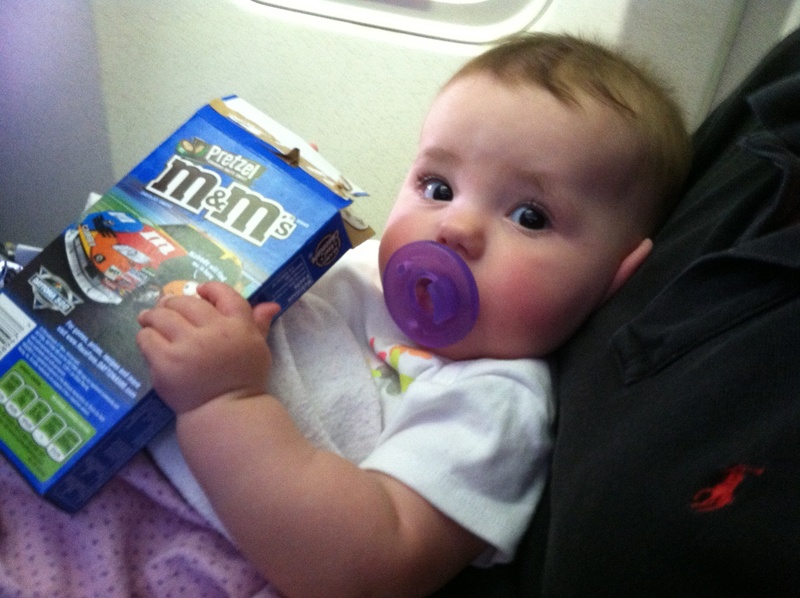 Don’t be above bribery; in this case an empty box of M&Ms. We also let her gum a strawberry Twizzler. Shhhh.